Most California drivers haven't noticed the growing number of EVs on the road. California is the largest electric-vehicle market in the United States, accounting for approximately half of the nearly 800,000 EVs on the road nationwide. But, according to surveys conducted by researchers at the University of California, Davis, the rapid growth in the number of EVs and charging stations in the state hasn’t improved consumers’ awareness of plug-in cars. Ken Kurani and Scott Hardman, both affiliated with the Institute of Transportation Studies at UC Davis (ITS-Davis), conducted five surveys of car-owning California households from June 2014 to June 2017 to assess consumers’ awareness of plug-in electric vehicles (PEVs). Kurani and Hardman are blunt about the implications of the survey results. “There are no paths to meet the PEV commitments and promises being made by automakers and politicians unless consumers are engaged in the transition to electric drive,” they state in a recent blog post. “Californians are not deciding they don’t want PEVs. Rather, they remain to a great extent unaware of PEVs and anything about them,” they concluded. According to the California Governor’s Office, the number of zero-emission vehicles (ZEV) in the state -- a designation encompassing battery electric vehicles, plug-in hybrid electric vehicles, and fuel cell electric vehicles -- has increased from 25,000 in 2012 to more than 350,000 by the end of 2017. ZEVs now make up about 5 percent of new car sales in California. If Gov. Jerry Brown’s vision succeeds, many more of these low-carbon vehicles are on the way. On January 26, Brown signed an executive order lifting the state’s ZEV target from 1.5 million vehicles in 2025 to 5 million vehicles by 2030. Brown also proposed spending $2.5 billion to install 250,000 vehicle charging stations and 200 hydrogen fueling stations across California by 2025. But, thus far, the growing number of PEVs on the road hasn’t been noticed by most California drivers. According to Kurani and Hardman’s surveys, the percent of car-owning households that had considered purchasing an EV was no higher in 2017 than in 2014. In each case, around 5 percent of respondents already owned an EV or stated they had actively shopped for one. Respondents didn’t notice additional charging stations either. Non-residential EV chargers jumped from 5,700 in August 2014 to more than 11,500 by August 2017, according to the California Energy Commission. Nevertheless, consumers’ awareness of charging stations barely budged over the three years. Despite a near doubling in the number of EV models on the road in California between 2014 and 2017, fewer survey respondents were able to name an EV for sale in 2017 than in 2014. And awareness of state and federal EV incentives was no higher in 2017 than three years before. 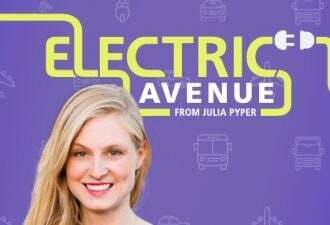 One potential awareness-raising model is the brick-and-mortar “Electric Showcase” operated by the electric mobility nonprofit Forth, in downtown Portland, Oregon, where consumers can see and inquire about multiple EV models and charging stations and also schedule test drives. 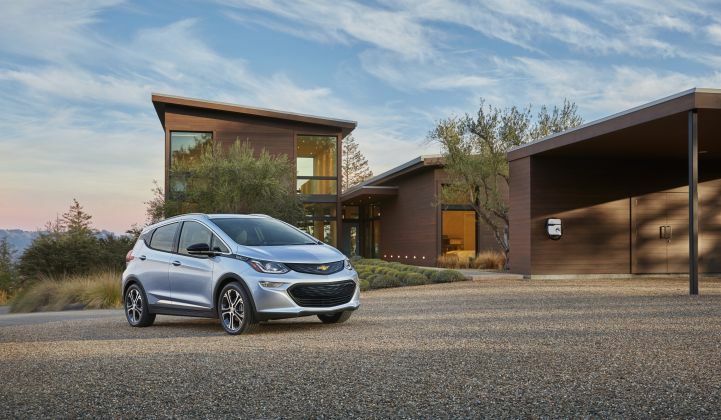 In the interview with GTM, Kurani said such a showcase “is essential and needs to be there.” But, he added, “I’m trying to find a way to drive people into that electric showcase,” beyond the 5 percent of households paying attention to EVs. Kurani also urged EV advocates to tap the affiliations consumers already hold to raise awareness. Suppose, he suggested, the REI store in Sacramento held a class on the links between climate change and the threat to the snowpack in the Sierra Nevada and presented zero-emission electric vehicles as one solution. REI could then organize a follow-up EV ride-and-drive event for members hosted by Sacramento’s municipal utility or regional air quality management district. Any science- or environment-focused group -- think the Monterey Bay Aquarium or Sierra Club -- could host similar events for their members. “This way, you are attaching the case for an EV to the other values people hold,” said Kurani.